Wireless charging has been around for a while now but it has only come to the fore recently after the advent of the smartphone era. 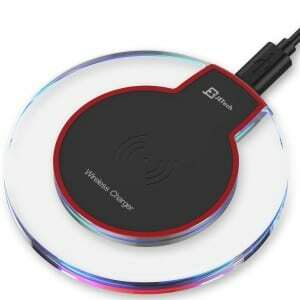 The technical term for wireless charging is inductive charging. In plain terms, this technology works by transferring energy between two objects, in this case, a charger and the device, through establishing an electromagnetic field. A phone or a mobile device is required to be placed on to the charger without having to connect any wires to the charging slots on the phone. The induction coil present in the charger creates an electromagnetic field which helps in the charging of the device. The biggest advantage when it comes to wireless charging is that there is no need to hook up any wires to the phone anymore and the device can be charged just by placing it upon the chargers. The speed of charging depends on the capacity of the charger and also on the manufacturers. 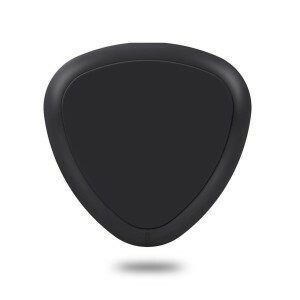 The faux triangular shape of this charging pad is one of its main selling points. 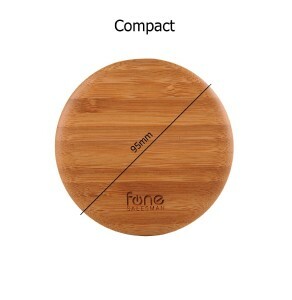 The angles on the device help it fit into any corner of the nightstand or desk without taking up too much space. The appearance is very stylish and has a very minimalistic look to it. Although, it only comes in one color, black. A white colour Yootech Qi wireless charging pad would have an amazing look without a doubt. But nevertheless, this little black one does its job perfectly well too. A 2A adapter is recommended on this device which needs to be bought on its own. The manufacturers have specified in advance that it is normal for it to get a little warm during the charging process so that is not really an issue. This charger works by placing a Qi enabled device onto itself and charging through an induction coil. 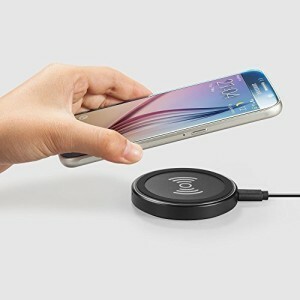 Anker wireless charger also works with a phone case that is enabled with Qi. All one needs to do is place the device on the circular charger and plug it on. 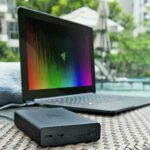 The look of the charger is very compact and portable. It is small in size but powerful enough to accommodate daily charging needs. The only short coming of the Anker Wireless charger is that it is not as fast as regular USB charging but it is still pretty useful. The manufacturers have also incorporated good safety measurements by putting in temperature control setting. If the temperature rises more than the safe levels, the device shuts down automatically. 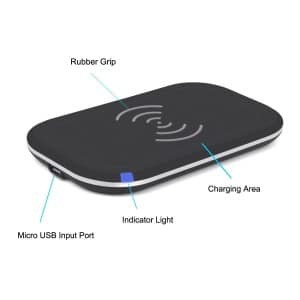 The RAVPower wireless charging pad is an extremely compact and sleek device that works well in various environments. The rubber padding beneath the surface of the charging pad makes sure that it stays in a steady position. This is one reason why it can be used easily even in cars and other moving vehicles. It is very portable when it comes to flexibility of usage. Another good thing about this charging pad is that there are two different LED lights on it, red and green, which help you place your smart phone properly on it and then lets you know the charging process begins and ends. It charges the phones pretty well and the cable is long enough to be used casually anywhere you want. So the biggest selling point of this wireless charger is that there are a total of three induction coils on its surface. Now this is advantage because the phone can be places any which way and it would still start charging. There is no need of having to put the phone in its perfect place to charge it. 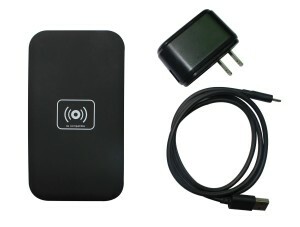 It is compatible with most phones available in the market right now and it is very power efficient too. But overall this device is value for money.All in all, it is a decent charger which lives up to its claims. The sturdy design of this charger itself is a good measure of its performance. It looks strong and yet it is sleek and portable. It is compatible with most popular brands like Samsung, Nexus etc. on the devices which are Qi enabled. Even if your phone is not Qi enabled, you can buy a case that comes with Qi and use the wireless charger. 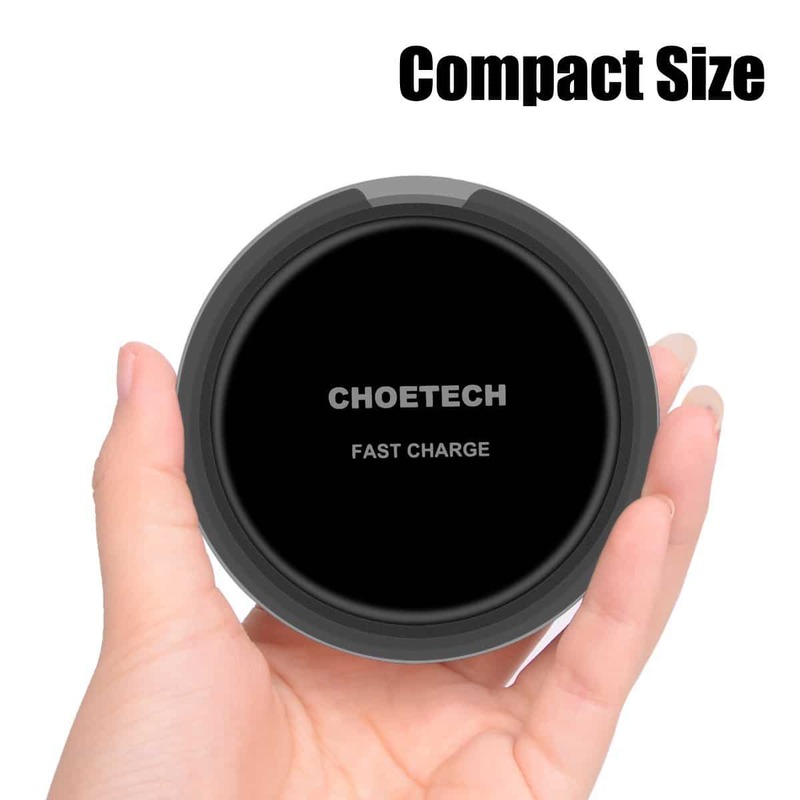 As far as the performance is concerned, this wireless charger is pretty efficient and works very well with many different devices or different brands. Unlike other wireless chargers, this one comes with an AC adapter as well as a USB cable which is great because you don’t have to go through the hassle of buying all of the necessary accessories. Overall, it’s a good piece of equipment that comes at a very reasonable price too. This charging pad is one of the most stylish looking charging pads available in the market right now. It has a circular panel made up of glass surrounding the induction coil which makes it very appealing appearance wise. The LED lights let you on whether the charging is in progress or not which is a great nuance to this device. It comes at a reasonable and affordable price and is a good value for money. There is also an option using it as a wired charger. All you have to do is connect the USB port to the charger and the mobile device. So basically it doubles up as a regular as well as a wireless charger. As with any wireless charging, the speed of charging is a little bit slow when compared to regular charging but that issue is negligible because of the ease of using this charger. The Woodpuck charging pads are very special in their design and build quality. This one is a bamboo edition which means that it is actually made up of bamboo. Now, usually, one would not associate wood with any kind of electronic equipment. But thanks to the smart design of this charging pad, we now have a wooden device to charge our phones. There is a very earthy feel to the whole appearance of this product, thanks to all the wood, of course. The discreet technology as the makers of this charging pad have advertised it, makes sure that no one even realises that it is a charging equipment. It looks like just another showpiece in your home. And even performance wise, this an efficient charger that comes with a beeping alert to let you know that it is working. All in all, a great concept and it will definitely attract people who want an aesthetically appealing charging pad for their mobile devices. 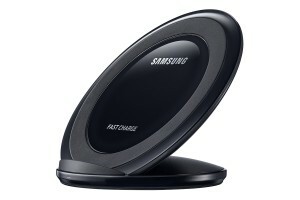 A wireless charging pad from a reputed brand like Samsung means that it has been measured up to high standards. It also means that since Samsung also manufactures phones, the makers know exactly what their phones need in terms of charging and especially wireless charging. In that regard it works pretty well. It comes with a stand so you can just place your phone on it for the charging process to begin. This device comes in two colors, black and white, both of which look pretty good. 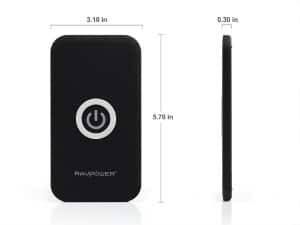 The one shortcoming of this charging pad is that the LED lighting on the device is very bright and it stays on the whole time the phone is charging so that can be an issue for some people. The claim is that of fast wireless charging. We know that when it comes to wireless charging, speed is something everyone has to adjust with. It is not as fast as regular charging with cables. So does this product live up to its name? To some extent, the answer is yes. It does charge the phone faster than other wireless chargers for sure but if you are using a case for your phone then the speed reduces bit. It is compact and discrete, as in there is no noise or any other issue with the device. Overall it is a great device at a reasonable and affordable price. 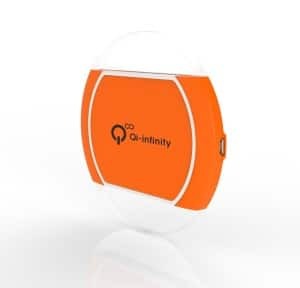 The Qi-infinity wireless charging pad comes in pop colors like orange and green and that itself is a great selling point for this device. Who said all the electronic devices have to be black or white anyway? So, first things first, the colors are very good. Now coming to the performance of the device, it does what it says it can do. Most smart phones in the market today are compatible with it and even if they are not, one can buy a Qi case and use this product. The smart LED part is a little cumbersome because the LED lights up when the phone is charging and only switches off when the charging process done. So if you are charging your phone at night, the light can be a little bothersome. Wireless charging is evoling and still needs time get maximum effeciency thus we recommend using power banks for better results and minimum energy loss. We have our Top 10 power bank’s list here so you can choose better for you. Why using poor quality AC adapters is hazards?